If you need a removalist to help with moving to or from Perth, then look no further than the experts in Furniture Removals to Perth. Interstate Removals. Covering every square inch of Australia, we guarantee we’ll make it easy and above all affordable for you to move, whether it be interstate or within WA. Moving can be one of the most stressful things in life, but why should it have to be? With 10 years’ experience moving people all over the country, our removalist company make moving look easy. By making your Furniture Removals to or from Perth with Interstate Removals, you can expect to save time, save money, be looked after professionally, and avoid any unnecessary hassle. If you thought moving your furniture doesn’t come cheap then think again. Our removalist services are some of the cheapest around because we offer Backloading Removals Rates. What does this mean? Backloading is when trucks have some space left over when they’re making their deliveries and we use this space to send your goods to where you need them. Your stuff is therefore moved quickly and more cost effective. No job is too big, too small, too far away or too nearby. With Interstate Removals, you can trust your goods to the professionals. All of our removalists are highly trained and we offer affordable insurance policies to give you added peace of mind. Our range of packages is tailored to your individual move, whether it be from the centre of Perth, the back of beyond in WA or any other part of Australia, your move is made even easier as we offer individual quotes and can even help with delivering packing supplies right to your door. 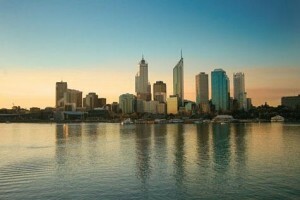 Got a car you want to send to Perth? A motorbike you want taken up to Kalgoorlie? No worries, our interstate removalists can help with moving your vehicles from anywhere in the country too. In fact, there’s not much we can’t do at Interstate Removals. From our best price guarantee, to reliable professionals with years of training and experience, to covering every corner of Perth, WA and beyond, put your trust in the expert interstate moving company, Interstate Removals.